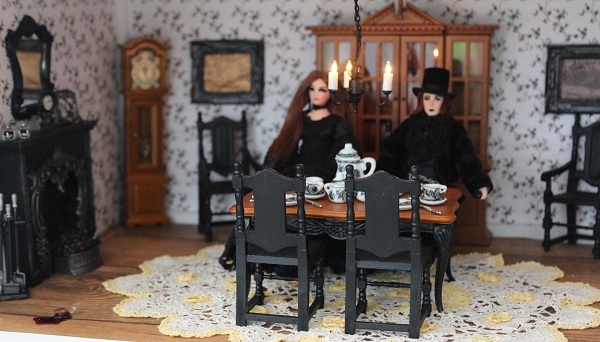 We love a bit of a fright here at The Dolls House Emporium - so we're happy to share some fangtastically spooky images shared via screamail and facebook by our readers! 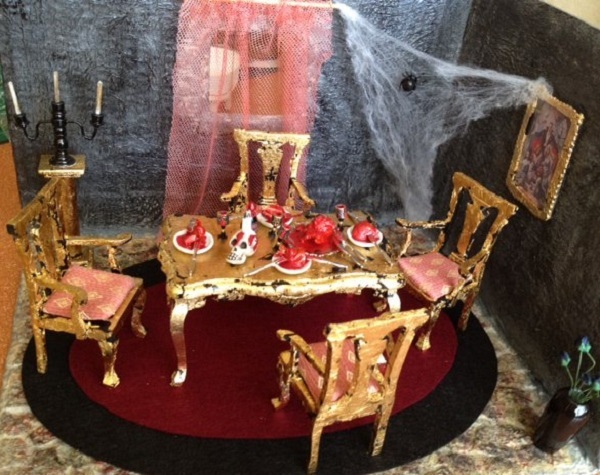 Scroll down to see what our wonderfully creative fiends (er, friends!) 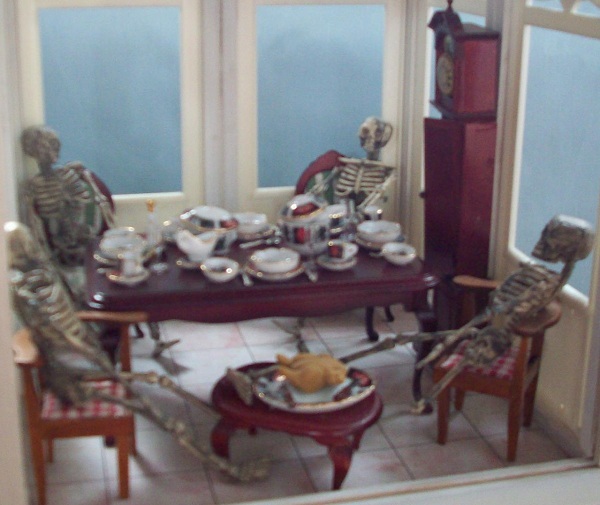 have sent us. 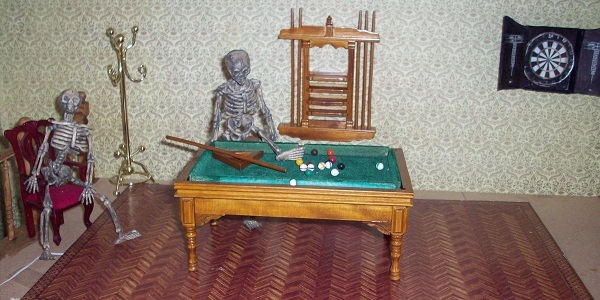 Here are two from Sheila Vickers, one showing her skeleton friends sharing a leg and a wing, the first breaking the one foot rule in snooker! 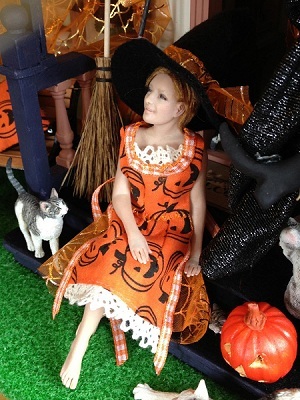 And finally, Karen Watchus shares her Hallowe'en outfit! 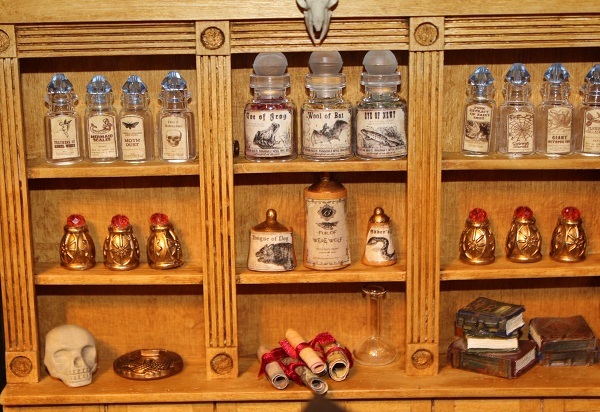 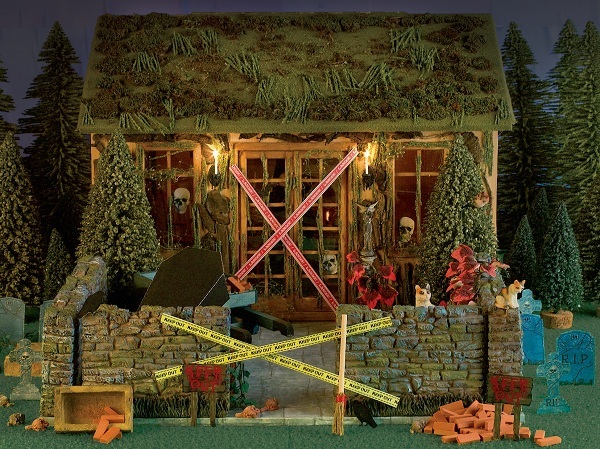 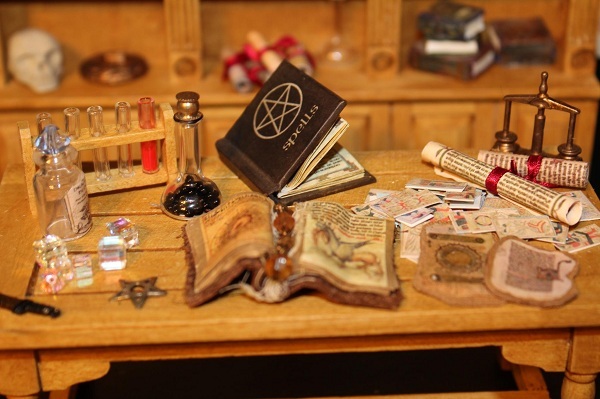 Witch house movie in miniature! 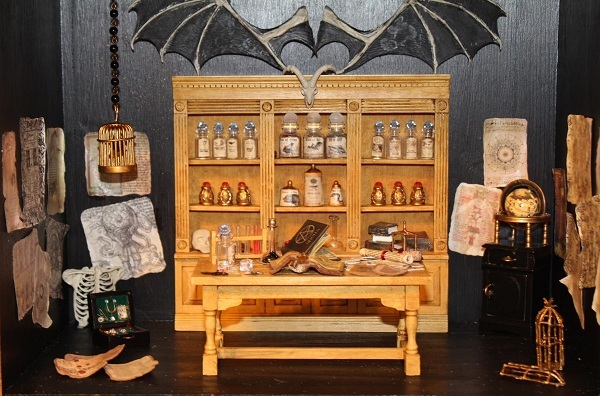 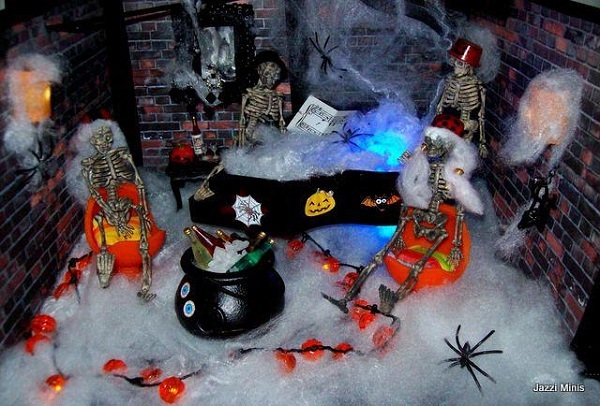 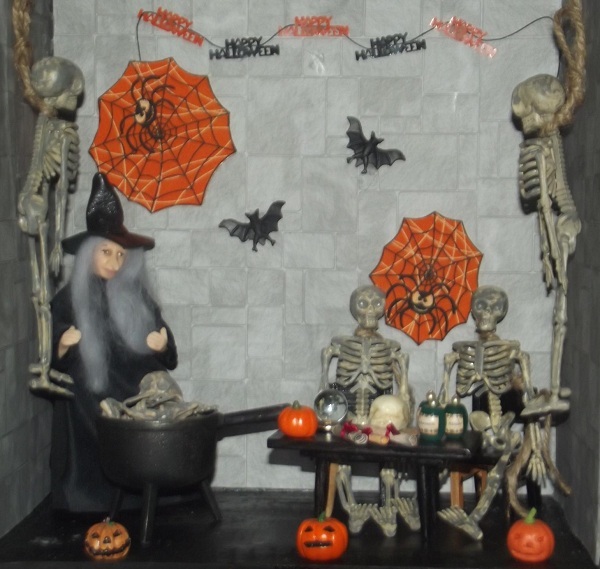 What better excuse to make an exciting temporary scene with your display box or small building than Hallowe’en! 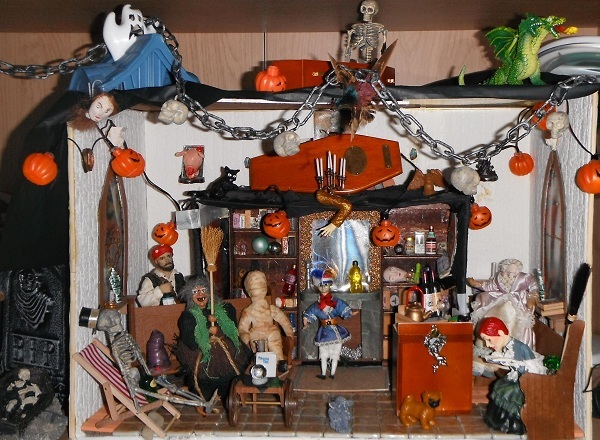 Be-spook old pieces with distressed décor and creepy dolls to create a completely different and totally unique display to wow everyone with your crafty talents. 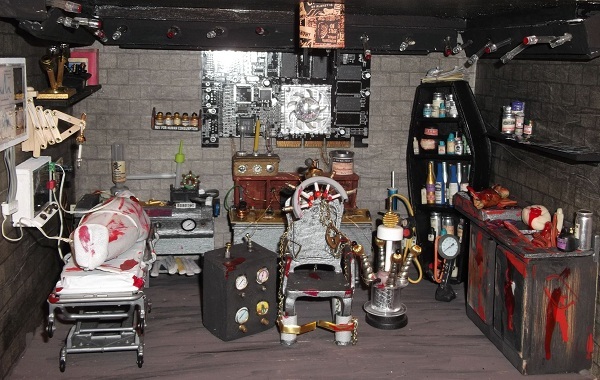 Recycle an old project or choose from the fantastic small buildings on the following pages for the base of your thrilling lair. 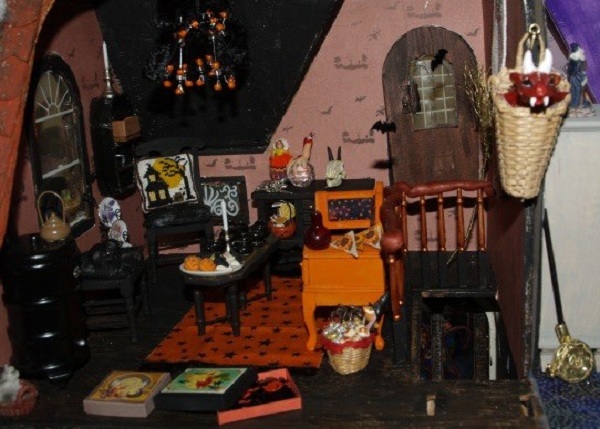 Take a look at our creepy witch's house on video right here! 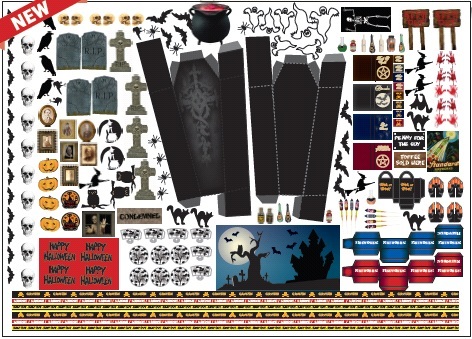 If you're planning your own mini-Hallowe'en scene or just need some decorations for an apple-bobbing party, our spooky cut-out sheet may be just what you're looking for! 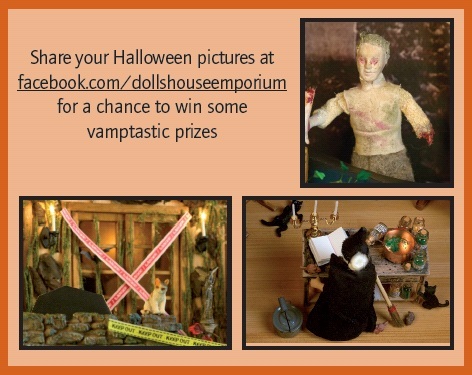 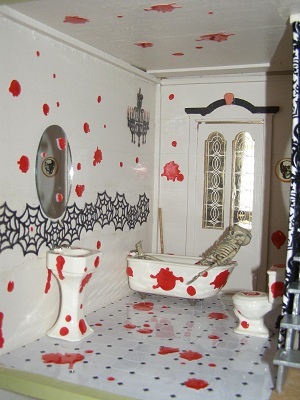 We're also on the lookout for pictures of your creepy models, whether or not they include Dolls House Emporium goodies! 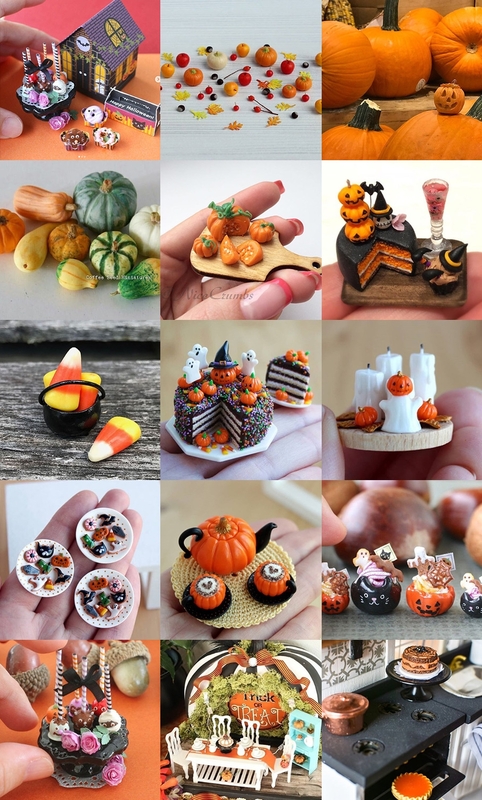 There are prizes up for grabs! 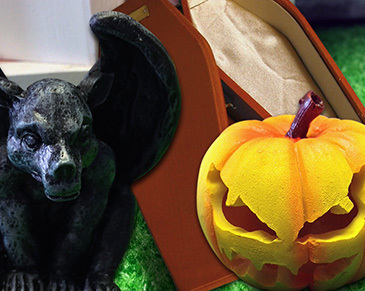 The cut-out sheet is part No 8088 and can be sent off the day you order - so there's no excuse for being left behind! 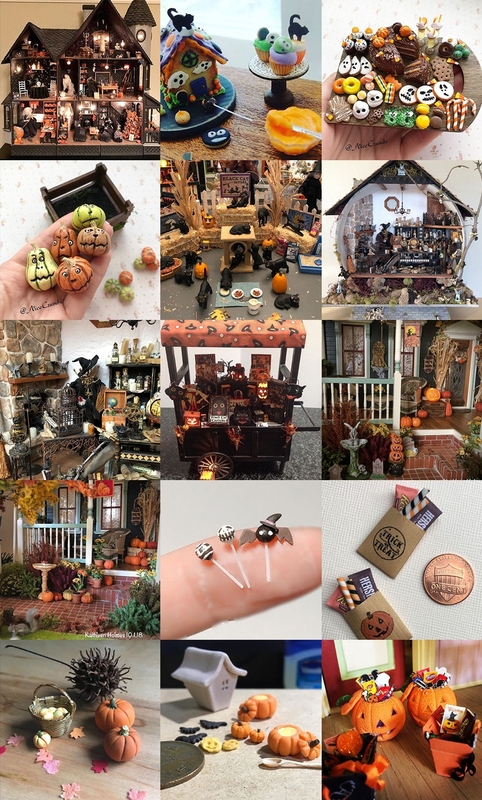 And then when you've created a masterpiece, nip on over to The Dolls House Emporium Facebook page and post your images there... the best we see gets a small prize, something for your dolls' house or miniature scene.